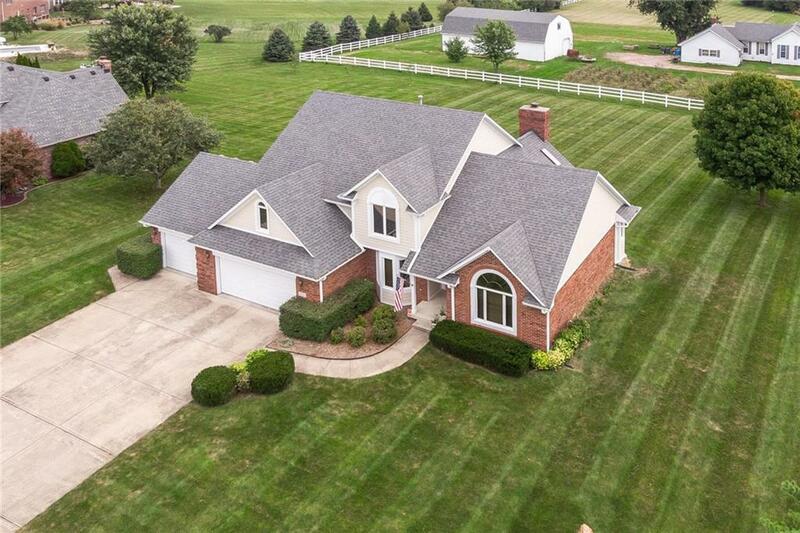 Live life well in this 4 bedroom 2 1/2 bath with a finished 3 car garage, finished basement with acreage. Enjoy this upscale neighborhood with great schools, city water and well water, custom built 1 owner home. Updated kitchen with granite counter tops, solid oak cabinetry, updated stainless steel appliances updated windows and new large stamped concrete patio, very cool and convenient main floor master with onset updated master bath complete with new free standing soaking tub and large newly tiled walk in shower,dual vessel sinks with hers and hers closets. Brand new this year: furnace, air conditioner, windows and roof! Come see this extremely well maintained home today.